Signum Quartet | Dispeker Artists, Inc. Energetic and lively, the Signum Quartet has made its mark on the international quartet scene and has been called “an exhilarating cocktail” (der Spiegel). It has enjoyed support from Bayer Kultur as part of its stART cultural programme and as ensemble of the BBC Radio 3 New Generation Artists scheme. The quartet has performed throughout their native Germany, at Wigmore Hall and Cadogan Hall London, the Concertgebouw Amsterdam, as well as venues across Finland, Norway, Switzerland and France. It has toured extensivly in Asia, Africa, and Central and South America, and has appeared at numerous iternational festivals. The Signum Quartet has been lauded at the German Music Competition, Premio Paolo Borciani, ICMC Hamburg and the London International String Quartet Competition. The Signum Quartet's premiere of Kevin Volans' 12th Quartet in Birmingham has come in 4th on Andrew Clements' Top 10 of 2016 in The Guardian. "The drama of this quartet is more intimate than in Rosamunde, but sounds just as gripping in the hands of the Cologne-based Signum Quartet. 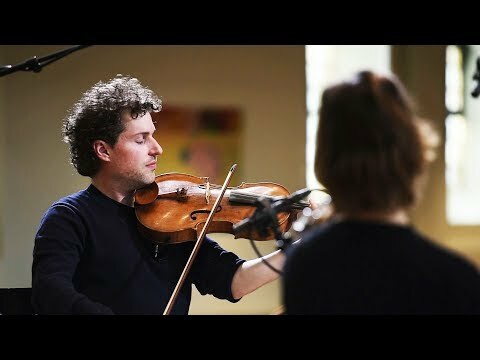 The ensemble demonstrates even finer calibrations of its expressive range on settings of five Schubert lieder — including the heart-rending “Die Götter Griechenlands” and the eponymous “Aus der Ferne” — arranged by its violist, Xandi van Dijk"